Advisor information is available at this link. Prospective students are encouraged to learn more about our degree offerings and the Linguistics faculty. The Graduate Handbook is a detailed guide to students' success in completing the graduate degrees in Linguistics at Fresno State. Please read it thoroughly at the beginning of your graduate study and use it often as a reference guide during your graduate study. Contact the Graduate Coordinator if you have any questions. You can access the university policies on graduate studies and download all the required forms required at the link above. Please find the important dates and deadlines from the Division of Research and Graduate Studies at the link above. 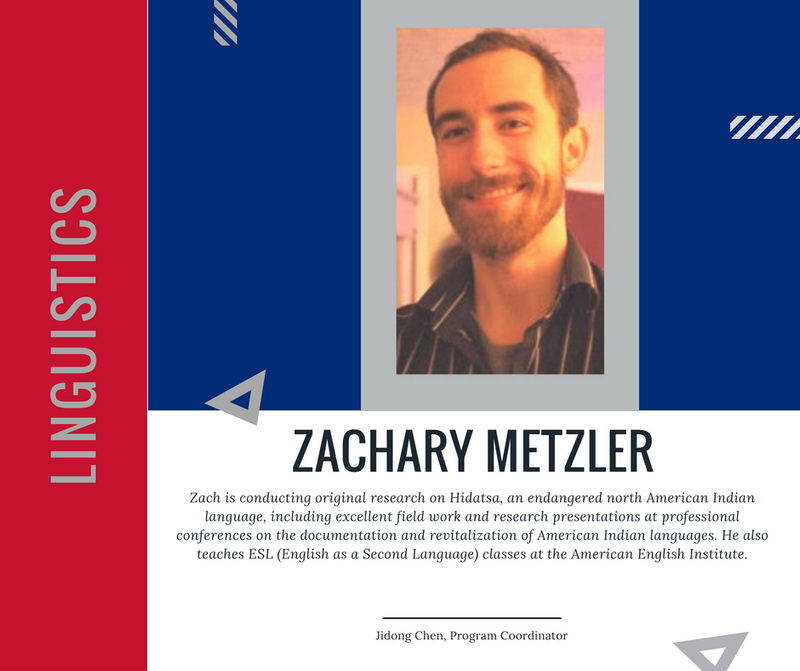 The Linguistics Club is an academic organization for students, faculty, and all people interested in the scientific study of human languages. It offers linguistic colloquium series very semester, which is open to the general public and free for participation. Leading linguists and experts in language education are invited to talk about their recent research in language science. Linguistics colloquium talks are usually from 12:30 to 2 p.m. on Thursdays in Room 390 of the Peters Business Building. Announcements of the talks will be announced on the Linguistics Department calendar page. If you want to be on our mailing list, please email Dr. Jidong Chen.